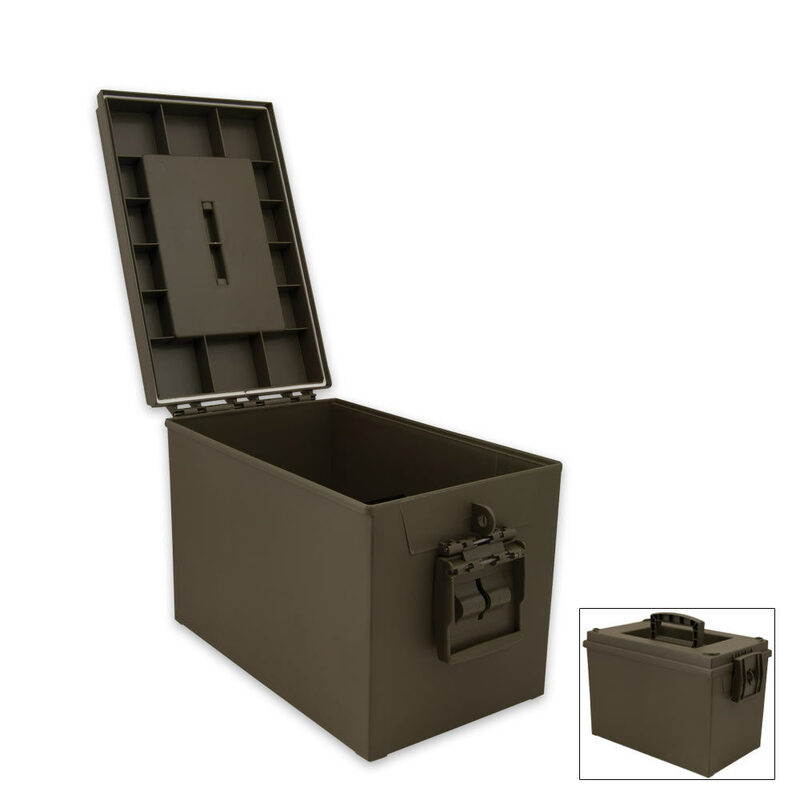 Constructed using hard, durable plastic, this ammo box is built for tough use and features a folding carrying handle, front latch, and rubber seal. Measures approximately 13 in. x 8 in. x 9 1/2 in. tall.